A frequently-requested feature on the Killzone Player Voice feedback system is the ability to select different control schemes, or to remap the controls entirely. While the latter is not an option at this time, we do have the ability to add more control schemes to the game. Of course, this raises the question – what should these control schemes look like? Are there control schemes in earlier Killzone titles that you would like to use? 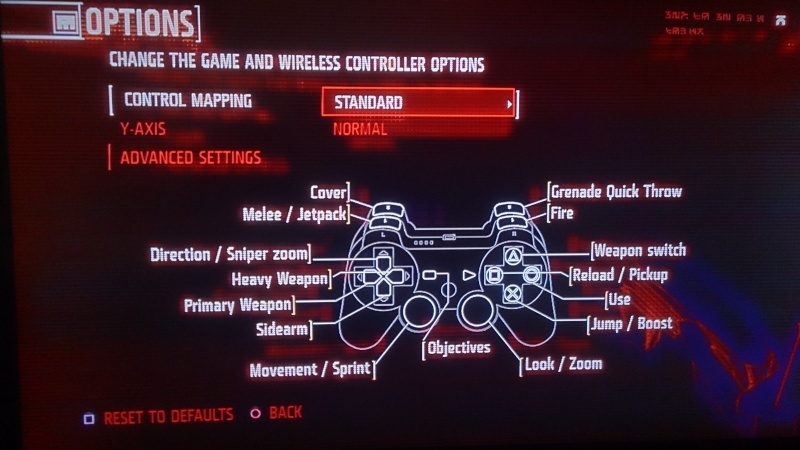 And how would you adapt these control schemes to match Killzone Shadow Fall’s in-game actions? In this thread, we hope to collect your ideas for additional control schemes. The premise is simple: below you’ll find an image of the current multiplayer control scheme, and an empty template image. Simply take the empty template image and fill out the numbers to the corresponding in-game actions as you think is best. Then upload the resulting image to the hosting site of your choice, and link the image in this thread. Note: When assigning your control scheme, please consider the DualShock4’s touchpad as a single button (the way it is now in multiplayer). Swipe motions on the touchpad would require us to add on-screen visual feedback, which would make the implementation of such a control scheme much more time consuming and expensive. Over the coming weeks, we will take stock of the most frequently requested control schemes and consider them for implementation in an upcoming patch. Please let us know how you would change to the current control scheme to make it perfect! Like KZ3‘s alternative control scheme for me. Basically is the current SF scheme with, crouch in L2/L1 (this would even make the ‘use’ more fluid by being the only function of that button, and also sliding more fluid). And assigning secondary fire to ‘d-pad up’ button. Simply: 10 to L1, maintaining Use in the Circle; and 4 to D-pad Up. Some ideas: higher sensitivity settings for the sticks, use the touch pad for abilities in MP like the OWL in SP, and allow us to climb a ladder witout having to push a button. I also think adding the color health indicator to the MP would be great as well to cut down on the red screen. Don't have the time to fill out the form right now, but I will say that the ability to stitch crouch and melee so that crouch is R3 and melee is O is something that should be in the game. Please change that, it is a common scheme in Battlefield and Call of Duty and would be useful for getting around maps without having to take your thumb off the stick. 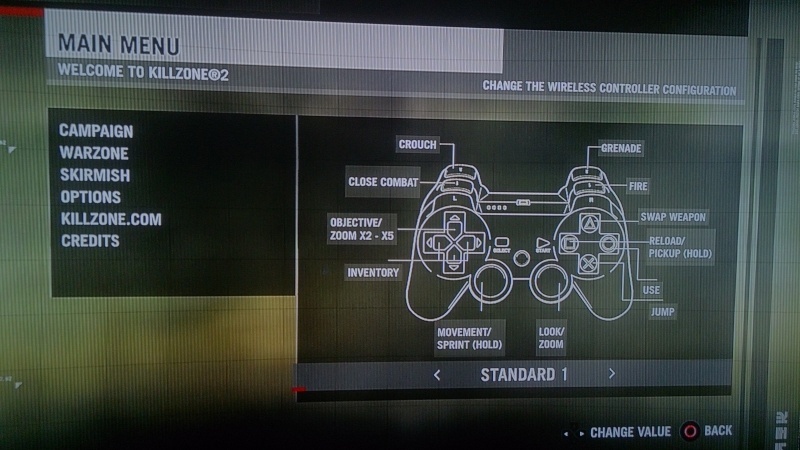 how about killzone 3's alternate controls scheme. with the ability to make up to 150% sensitivity or more. also have the game have the speed and faster paced feel of Killzone 3 as well. That game just felt right in terms of game pace, character movement, and speed. I would like to see the original control of Killzone2 / 3. L1 for melee, aim on R3 and the most important L2 to crouch. The secondary fire I would just at D-pad Up.